Solar power has become all the rage in last couple of years; some useful, like power generation, to decorative, such as lights for the yard or fountains and other water features, there below we look at some of the most promising solar gadgets, a few of them are already available. Now there is no need to install heavy, bulky solar panels to power your home. Solar shingles are sleek, miniature panels with built-in photovoltaic cells. 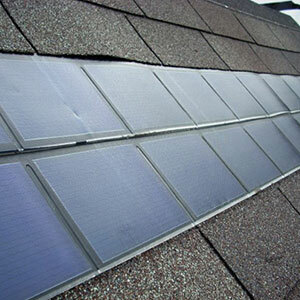 They are installed flat, and provide the same weather protection as regular shingles, while generating electricity. Depending on the brand, the average homeowner can save anywhere from 40 to 60 percent on their power bills. 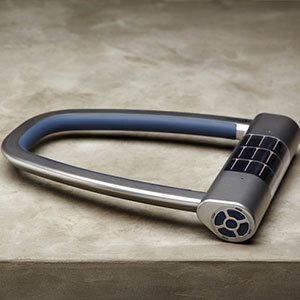 This is certainly one of the most futuristic-looking solar gadgets around. The lock has a built-in photovoltaic cell which, according to the manufacturer ,provides just enough power to keep the lock up and running for a week after an hour in the sun. The Skylock has Bluetooth technology which allows the owner to unlock the bike via a smartphone, and it has a number of security features including an alert if someone tampers with the lock or the bike. The WakaWaka charger requires just 10 hours in the sun to charge, and once full it can provide everything from your phone to youre-reader with electricity. One test showed that it will charge an iPhone 5S in under two hours. It has a built-in LED flashlight, which will run for 40 hours on one charge. As a bonus, for each charger they sell, the company donates another to a power-needy community in a developing country, so you can make a difference. 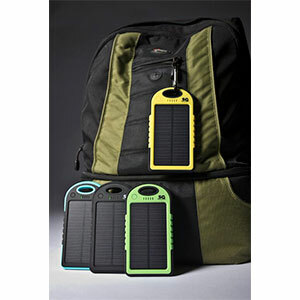 Stunning Gadgets sells a 5000mAh Solar Battery Charger, which can charge two devices at the same time. 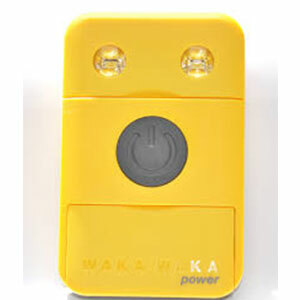 Similar to the WakaWaka (discussed above), the charger has a USB, which can charge the capacious internal battery in just a couple of hours, and solar panels which take about. The rugged design and the lifetime guarantee makes it a pretty safe investment for your hard-earned cash, and it’s a lot cheaper than similar solar powered gadgets. The ELF is a daring concept, to say the least. This solar gadget is a cross between a bicycle and a stripped-down car. The three-wheeler boasts a 100-watt solar panel mounted on the roof, headlights, an aluminum frame, turn signals, and brake lights. Ideal for short trips, it will re-charge in 2.5 hours from a regular socket or in 8 hours from sunlight alone; it will travel 15 + miles on a single charge, and, if you run out of power, it can always be pedalled back home. 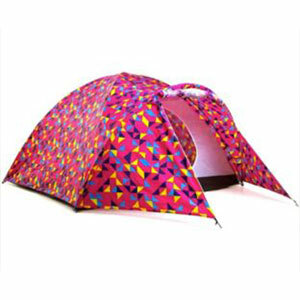 Stay connected this summer with these fantastic 4-man solar-powered tents by Bang Bang Tents. Each tent comes with a 5w solar panel, lithium solar storage bank and mobile phone/USB charging adaptors. The solar panel and storage bank can charge many low voltage devices, including cell phones, tablets, cameras, speakers or L.E.D lighting. Solar gadgets are perfect for festivals or glamping.